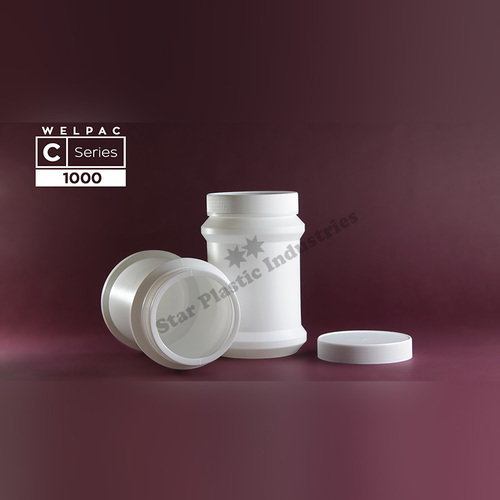 We are a leading manufacturer of Plastic Jars. Keeping in mind the varied requirements of the patrons, we offer long-lasting Ayurvedic Medicine Jars that are used to store tablets. Our range is known for their features such as air tight, durability, non-toxic nature, leak resistance, moisture proof. We offer them in diverse shapes, sizes, colors and designs as per customer’s choices. They are moisture-resistant in character and have high tensile strength. Furthermore, we offer the complete medicine jar range at most realistic rates.